I think you also, like me, might be confused while choosing the best blockchain platform from options available out there? And I have seen this confusing ranging from businesses wanting to embrace blockchain to professionals looking to jump-start their blockchain careers. It’s a valid confusion to have because until unless you understand different blockchain platforms, it is difficult to embrace them. You must be thinking about which platform(s) I am talking about? Well, there are many promising blockchain platforms out there, but two of the most famous ones are Ethereum and Hyperledger (specifically Hyperledger Fabric). It is essential to understand the difference between Hyperledger Fabric and Ethereum so that you don’t sound like the guy shown above. 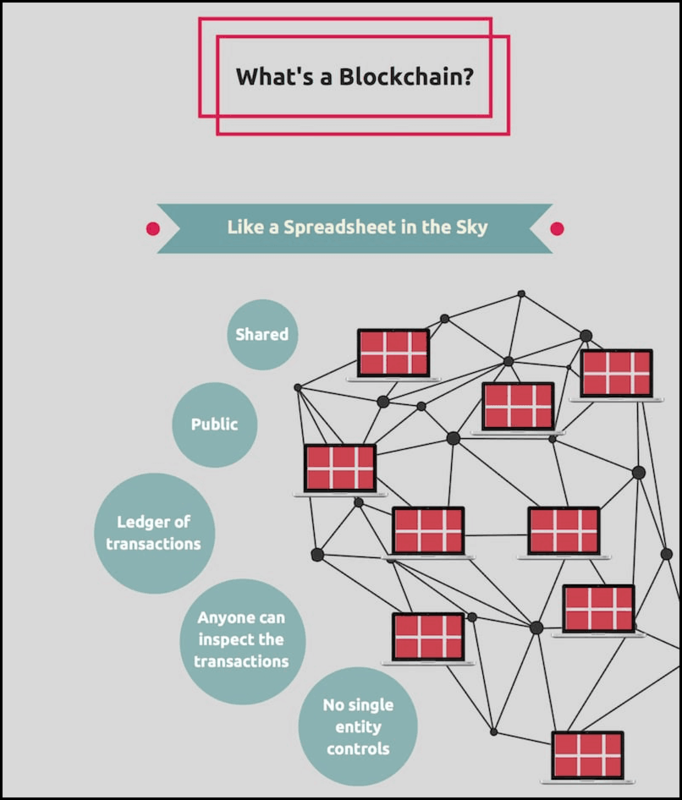 But before that for the uninitiated let me give a brief refresher on blockchains. Which is however partially correct because blockchain is just one of the many moving parts of Bitcoin. 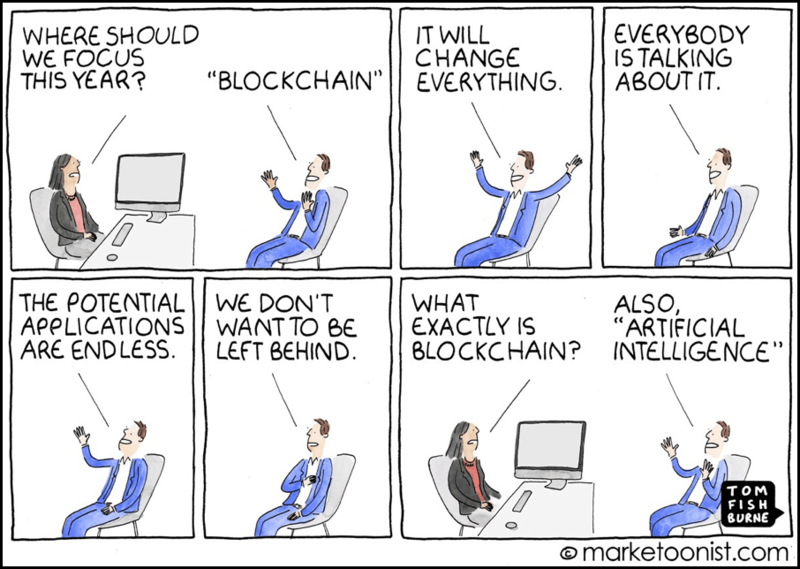 And with time the meaning of blockchain itself has evolved, and blockchain is strictly not something only related to Bitcoin. This is, precisely because blockchain has many other usecase also other than Bitcoin. And these records are called transactions which are maintained by a blockchain in chronological order and only authorized parties or entities who are participating according to the rules can make changes into it. In order words, it is a distributed database or ledger which is maintained by a group of participants bringing the much-needed transparency so that it can be considered as a single source of truth. And amongst them, Ethereum and Hyperledger are the most talked about blockchain platforms currently in the market. So it makes sense in discussing them first. Ethereum and Hyperledger are both built to achieve different goals and to understand these goals we need to deep dive into each one of them. Ethereum, as we all know, is on the mission to become the ‘World’s Only Computer’ built by Vitalik Buterin – a college dropout in 2014. This is an ambitious goal and Ethereum which is an open-source and decentralized permissionless blockchain is spearheading this thought. Ethereum also has its native cryptocurrency called Ether which fuels operations on Ethereum virtual machine that is responsible for executing smart contracts on Ethereum. Smart contracts on Ethereum are written in Solidity language which is deemed to be more fit for this purpose as Ethereum’s main goal is to launch de-facto decentralized applications (DApps) suited for mass consumption. And since Ethereum is an open and permissionless blockchain, anyone can join it which makes it slow because it requires consensus from everyone (all nodes) participating, to move forward. Moreover, this consensus is reached by participating in Ethereum mining- a energy intensive proof of work method requiring fair incentives for the participants. Hyperledger is an umbrella project of open source blockchains and related tools, started in December 2015 by the Linux Foundation and supported by big industry players like IBM, Intel, and SAP. This is done to support the collaborative development of blockchain-based distributed ledgers. Out of these Hyperledger Fabric has become quite famous and it is for a reason. It is an industrial blockchain solution explicitly designed to target businesses. This blockchain framework implementation is hosted by the Linux Foundation and is intended for developing permissioned blockchain solutions with a modular architecture. And this very much possible using Hyperledger Fabric because it allows independent components, such as consensus and membership services, to be pluged-and-played. Container technology is used to host smart contracts called “chiancode” in comprising the application logic for the system being built using Hyperledger framework. And unlike Ethereum, the consensus mechanism used in Fabric is quite simple and not energy intensive, and one can choose between No-op (no consensus needed) or PBFT (Practical Byzantine Fault Tolerance), etc. So you see the technical difference between the two- Hyperledger & Ethereum are quite a few and these are because they target different usecases. Consensus On-chain and POW based PBFT, No-consensus, etc. Well, if you ask me who the winner from Ethereum or Hyperledger is? The answer will be NO one because they aren’t competing at all. Because in general purpose business scenarios like where you need a transaction to be private and not public, Ethereum is not a good option to go for as it is by default public. Whereas in business cases where you need transactions to be private to privileged parties only, a common requirement, you should go for Hyperledger. Lastly, Amazon Web Services has entered the blockchain market with two dedicated services. It supports two popular open source blockchain frameworks-Ethereum and Hyperledger Fabric. This now a testimony that these are the two blockchain platforms, you should keep an eye on whether you are a developer or business personnel. So that’s all from my side in this Ethereum and Hyperledger refresher, and I hope you liked it. If you liked it? 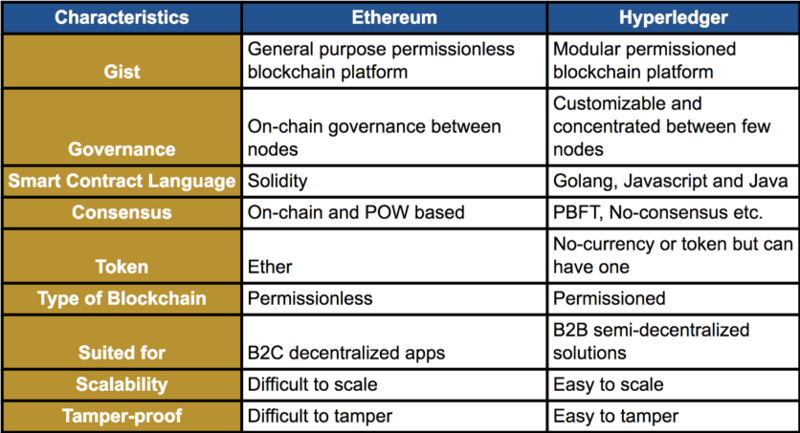 Feel free to share it with those interested in knowing the difference between Ethereum and Hyperledger and I will see you in the next post.